On October 21, citizens of Burundi celebrate a national holiday known as President Ndadaye Day. It commemorates the death anniversary of Melchior Ndadaye, the first democratically elected and first Hutu President of Burundi. Melchior Ndadaye was born on March 28, 1953. In 1972, he was forced to flee to Rwanda in order to escape the mass killings of Hutus by Tutsis which are now known as the 1972 Burundian Genocide. In 1979, he became one of the founders of the Burundi Workers' Party. In 1983, Ndadaye returned to Burundi with a number of devoted follows. In 1986, he founded the Frond for Democracy in Burundi. In 1992, President Pierre Buyoya began a process of political liberalization. Ndadaye officially registered his party and won the first ever democratic elections in the country. 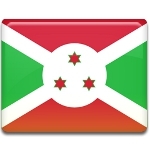 He was sworn in as President of Burundi on July 10, 1993. Sadly, his government was very short-lived. Ndadaye was overthrown and assassinated in a military coup on October 21, 1993. His death sparked a wave of protests across the country, and the attempted coup failed. Cyprien Ntaryamira, another Hutu politician, succeeded Ndadaye as president. The anniversary of Ndadaye's assassination was designated as a public holiday.